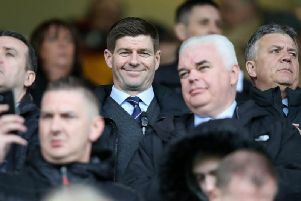 Dave King is looking to lessen the influence of Mike Ashley at Rangers with a special resolution in Friday’s agm, Kris Boyd has revealed he tried to get Rangers to sign Celtic target Darlington Nagbe, and Moussa Dembele insists he’ll be a Celtic player next season. Dave King and the Rangers board are looking to dilute the influence of Mike Ashley and the Easdale brothers at this Friday’s agm with a special resolution. Kris Boyd has revealed that he recommended Celtic target Darlington Nagbe to Rangers in 2014. Boyd played with the midfielder during his year stint with Portland Timbers and tried to convince Ibrox management to bring the player to Glasgow, but nothing came of it. Moussa Dembele is “100 per cent” certain he’ll be a Celtic player next season as he looks to help the club progress in the Champions League. Rangers are among five clubs chasing Bristol Rovers striker Matty Taylor after the 26-year-old’s terrific start to the season. Brendan Rodgers believes the referee got it wrong when Daniele Orsato awarded Barcelona a penalty during Celtic’s 2-0 Champions League defeat. Robbie Neilson will continue implementing a three-man defence at Hearts but admitted the system still needs plenty work. The head coach said he will use the 3-5-2 formation going forward because it allows a good degree of flexibility. Scottish whistler Willie Collum was conned by Real Madrid’s Mateo Kovacic when he sent off Joao Pereira, according to Sporting boss Jorge Jesus. Hamilton boss Martin Canning has made a thinly veiled dig towards Hearts boss Robbie Neilson in the fall out from Monday’s 3-3 draw. Richie Foran has challenged on loan midfielder Larnell Cole to establish himself in the ICT starting XI and earn himself an extended deal. Hibs legend Pat Stanton has launched a bid to become a director of the Easter Road club.